This Bücker Jungmeister c/n 1006 was built by Bücker Flugwerke at Rangsdorf and delivered to the Spanish Air Force in Feb 1937 as 35-11, later as ES.1-11. It was sold in 1957 and finally registered as D-EJJI in Februar 2017. 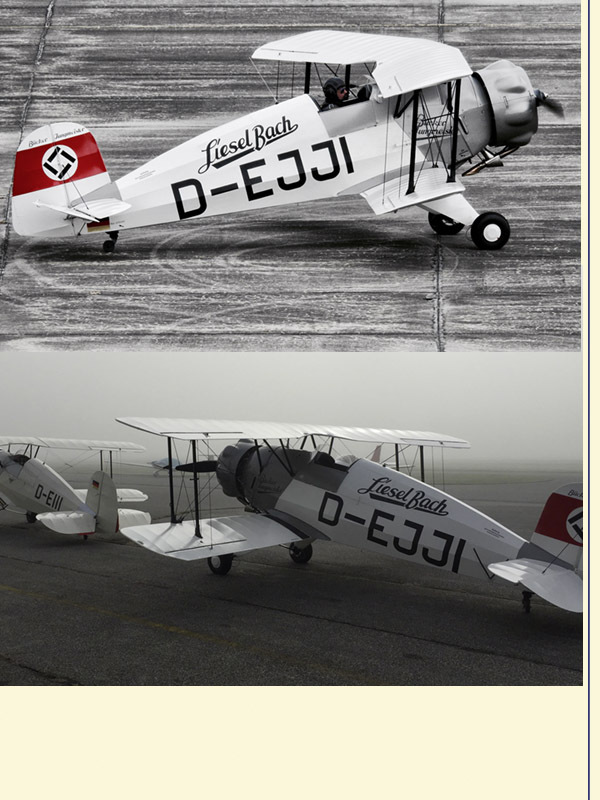 The design represents the aircraft of the famous female aerobatic pilot "Liesel Bach".